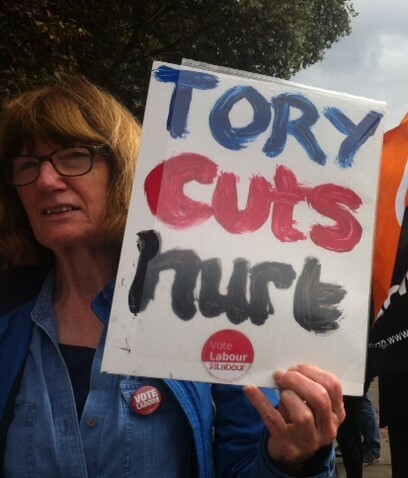 Over a hundred protestors gathered at Southport Hospital today to voice their anger at the current state of the NHS during a visit by Secretary of State for Health, Jeremy Hunt. Despite recent reassurances from the town’s Conservative MP, Damien Moore, that the hospital is safe, many people are unconvinced that it will remain untouched given the current local review of its services. The review comes as a result of the Conservative Government’s Sustainability and Transformation Plan, which is looking to make over £900 million worth of savings. Another major reason for the scepticism is Jeremy Hunt himself who, despite his denials, is widely seen an advocate of privatisation and most recently was also severely criticised by world-renowned scientist, Professor Stephen Hawking, for his claims regarding increased mortality rates at weekends. 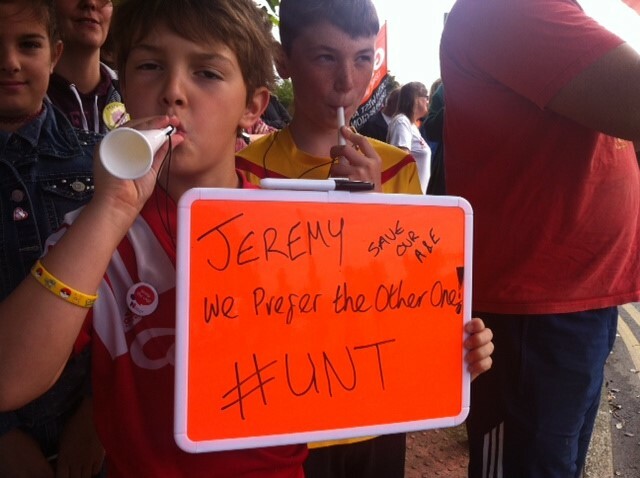 Amid shouts of “Ban the Hunt” and “Save the NHS” protestors demanded that Mr Hunt resign and claimed that he was deliberately underfunding and undermining the NHS in an effort to ease the path to privatisation. As Mr Hunt’s black Jaguar swept past there were loud boos and jeers. 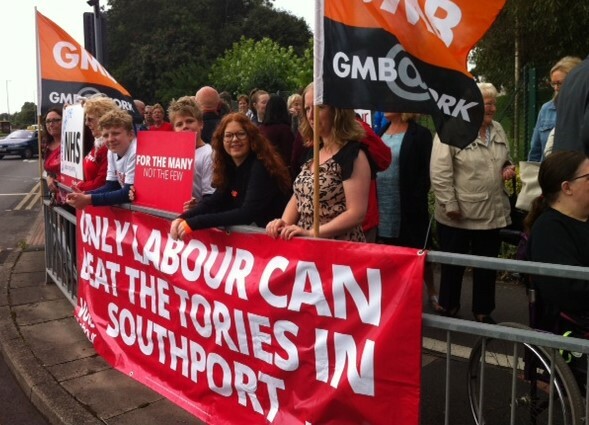 Local demonstrators were joined by hospital staff and trade union members from the GMB and Royal College of Nursing, as well as Sefton Central MP, Bill Esterson, and Southport’s Labour Parliamentary Candidate in 2015 and ’17, Liz Savage. “It’s a joint protest because we all need to come together to protect one of our most vital national resources,” said Mhairi Doyle, “The damage the Conservatives are causing is deliberate, it has to stop. Mr Hunt needs to realise that and realise it quickly. Previous Previous post: Jeremy Corbyn’s Southport Rally “a stunning success”.